After graduating from DePaul University's School of Law, Howard joined Soffietti, Johnson, Teegen, Phillips & Argueta in 1971. As a managing partner since 1977, Howard heads the firm's commercial, construction, and corporate litigation and transactional divisions as well as the firm's Appellate practice. Howard is also the acting Village Attorney for the Village of Fox Lake, a client that the firm has represented for over 28 years since 1981. 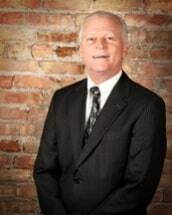 Howard brings over 41 years of experience in representing parties in construction, corporate and commercial related disputes, including breach of contract lawsuits, mechanic's lien cases and representation of banking institutions seeking to recover on mortgages and other collateral, along with handling business acquisitions and sales. Howard's practice also includes the representation of commercial and residential land development companies in each phase of the land development process, ranging from land acquisition, the entitlement process, negotiations and agreements with local municipal and state entities, and ultimately, in some instances, the sale of developed property to interested parties, national builders and corporations. Howard has developed throughout the years a reputation for being both a fearless advocate on behalf of his clients and a fair and reasonable adversary to his opponents. Howard currently resides in Hawthorn Woods, Illinois, with his wife Barbara, with whom he has two children and six grandchildren.